Come join the City of Aurora and Denver Metro Clean Cities for a fun and festive ride & drive event at the soon to be new light rail station off Iliff and Blackhawk. 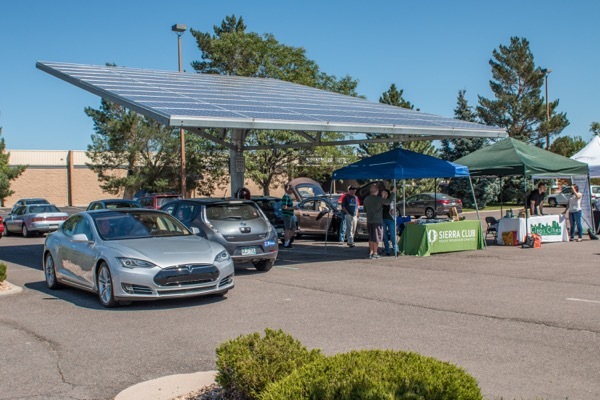 Come show off your own electric vehicle (EV) or test drive ones from BMW, Nissan, Ford, Chevy, and Audi. Take a ride in a Tesla or grab an e-bike, there are more than enough electric powered activities to keep you entertained for hours! If you get hungry or want to take a break grab a bite from a food truck and enjoy the live music. Let your friends know you're going or, better yet, invite them through our Facebook event page. Registered attendees report 209,923 electric miles driven.